We have all heard the expression, "Laughter is the best Medicine", but did you know that laughter actually induces physiological reactions. 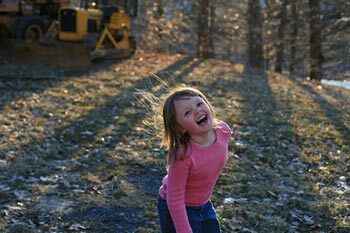 As noted in a recent article in "To Your Health" magazine (www.toyourhealth.com), anticipating laughter actually releases two hormones: beta endorphins, which are the bodies' natural pain killers and anti-depressants, as well as human growth hormone. As noted in the article, these hormones increased by, "27% and 87% respectively." In a second study researchers found that three stress hormones were released, those being cortisol, epinephrine (adrenaline), and dopac, which assists in the production of epinephrine. As noted, these hormones decreased by, " 39%, 70%, and 38% respectively." So, as we all say about apples, a laugh a day may keep the doctor away. Check out the www.laughteryoga.org website.